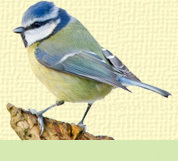 By offering a range of bird food in your garden you will attract a larger variety of birds to your garden. It is also important to serve in different ways as many birds like to feed from feeders, whilst others prefer to feed on the ground. Whole and split peanuts peanuts rich in oil and protein, price per kg. Quality black sunflower seed, price per KG. Oil rich seed a firm favourite with all finches, especially goldfinches, siskins and redpolls. Pack of 6 Fat balls without nets which can be harmful to birds and the environment..